So Nancy and I have been having mini victories with our Kinect project. 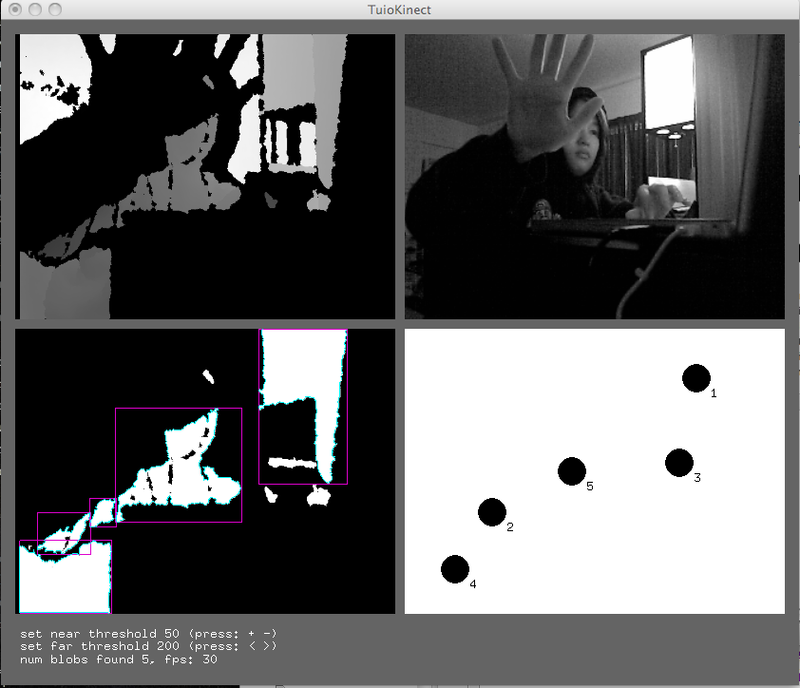 We’ve recently adopted the the TuioKinect based on the multi-touch library TUIO. This entry was posted in HACKINECT and tagged hackinect, hacking kinect, kevin for google, kevin kwok, kevinforgoogle, kevinforgoogle.com, kevinkwok.com, kinect, microsoft, microsoft kinect, nancy chui, tuio, tuiokinect, xbox, xbox kinect. Bookmark the permalink.